In this blurry shot, you can see the gorgeous glow! 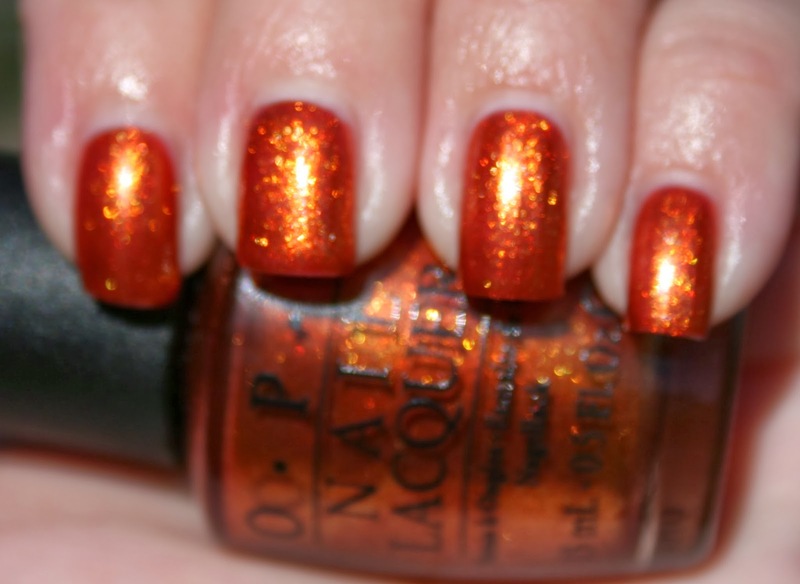 A Woman's Prague-ative is a pretty orange-copper with gold and red shimmer. 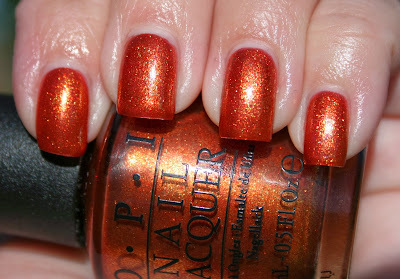 I found I needed 3 coats to get complete coverage, but this one applied so nicely I didn't mind. I thought this might be nice for Halloween week. I remember when this collection came out I thought this was a perfect fall shade.